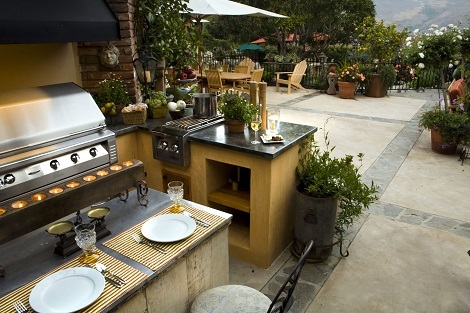 Have you considered outdoor kitchens for entertaining? 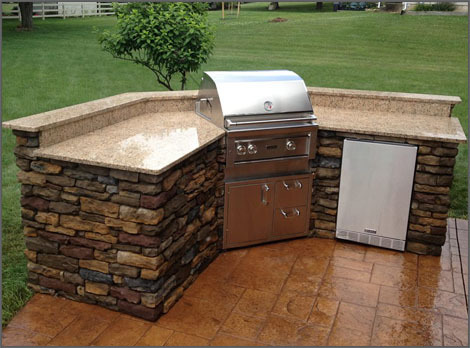 Think about having your guests entertained outside with a fully equipped outdoor kitchen area, complete with counter tops and room to prep. But don’t just stop at the kitchen, what if you could entertain your guests with a comfortable and welcoming sitting area for them to watch you create what you will be serving? An outdoor staging area where you can showcase your cooking skills as your friends and loved ones sit and enjoy their favorite beverages with a roaring outdoor fireplace to provide the warmth and relaxation. The kitchen is the heart of the home, and in the warmer months, you can take that feeling outside as well! 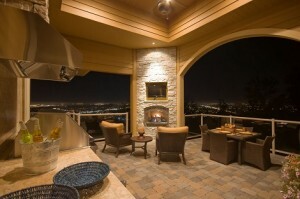 There is no end to the outdoor creations we can help you design when it comes to outdoor kitchens and fireplaces. Custom design. Finest materials. Reliable contractors. Call us today or visit our showroom and let’s talk about your next outdoor or indoor custom design. We are local to the Lehigh Valley and proudly service Allentown, Easton, Bethlehem, Bucks County and beyond. Scroll down to see all the beautiful outdoor designs that you can create with Laslo Kitchens.